I’ll start by confessing that this is my first post at Inspy Romance, and I’m humbled, happy, and a little scared at the same time, as if it were my first day at an exciting new job. I look forward to getting to know everyone here. I penned my first literary masterpiece (a rhymed poem) at the ripe age of eight, have over two hundred works (articles, poems, short stories) published in the five languages that I speak, and have published five books to date. I’ve lived in both hemispheres, traveled to several European countries, and currently live in south Texas, where there is a heavy influence of Latino culture. It’s no surprise that I love writing about American characters with different cultural backgrounds, be it a Russian heroine, Irish heroes, or Hispanic characters. My upcoming release, Season of Joy, features a travel journalist heroine with Argentinian ancestry (Season of Joy releases on March 23, but here’s a link to pre-order it). Here’s an excerpt from my book, Season of Miracles, which has a Hispanic hero. Lana briefly paused to wipe off her sneakers and rushed inside. In her haste, she tripped over the threshold and flew forward. Her bag went in one direction, her glasses in another one, as she was about to end up face first on the floor. Unable to prevent the fall, she braced herself. She just hoped her medical supplies bag didn’t hit her poor patient. Strong hands steadied her, and she found herself against a firm, broad chest. Inhaling a woodsy scent, she looked up into deep hazel eyes. It took a moment for her breathing to even out. She assessed the damages. The man was holding her with one hand and her bag with the other, and judging by the bulging muscles, he could probably lift three of her without any effort. Her glasses did fall on the floor, but thankfully they didn’t break, and no parts of her body connected with the hard surface. “Are you okay?” He sounded concerned. He chuckled and released her, probably thinking that by now she was steady on her feet. She wasn’t so sure. But I hear settings in those countries are not popular. Would you read a book like this? I’d love to hear your opinion. Do you like reading about different cultures? Is there a culture, ethnicity, or character’s nationality you like to see featured more in romance novels? 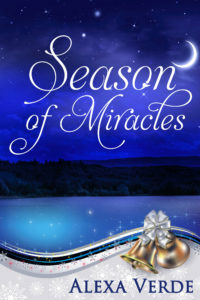 I’m offering a giveaway to one randomly chosen commenter to this post: 1 Kindle copy of my book Season of Miracles and a $5 Amazon gift card (the giveaway is limited to those with an amazon.com account). The giveaway will end at 12 am on March 17th. Yes. I would read a book exploring different nationalities. Thank you very much, Carolyn Tye! I’m happy to hear that. Welcome Alexa:) It sounds like you have lived in some interesting places. I would happily read stories set in Eastern Europe…anywhere really, so long as the author makes it authentic. I remember reading a story set in Russia, and I could not finish it, it just did not ring true, so I think authenticity is important. Wemble, I agree, authenticity is important. I lived in Belarus for many years and traveled to Russia on many occasions, so I hope that whould help in writing a book set there. 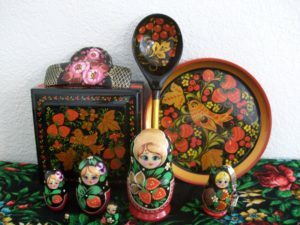 I read several novels in English with Russian characters, and every time I found mistakes. I definitely want my story to ring true. Thank you very much for the welcome! Welcome, Alexa! It’s great to have you here. Definitely, I love to read about different cultures. Thank you, Jill Weatherholt! I’m blessed and honored to be here. Welcome Alexa. Thanks for sharing about your contemporary romance books. I’ve read some of the romantic suspense and really enjoyed them (river and scent of danger). I look forward to the new genre. I’m from Brazil but lived in the US foe a few years and I’d enjoy reading from other cultures a lot. Priscila, you made my day! I’m so glad you enjoyed reading my books. I decided to try writing in a new genre and I’ve been enjoying it tremendously. Brazil sounds fascinating to me. I speak Spanish, but I don’t speak Portuguese. However, while reading letters from Brazil, I could understand some words. Guten Morgen Alexa. Sprechen Sie Deutsch? Wilkommen Alexa! As a world language teacher, I enjoy interacting with translators and writers from different countries. I have traveled in Europe and Japan. As a German and English high school teacher, I enjoy reading books about different cultures, especially Eastern European because for 40 years my relatives lived behind the Iron Curtain. I was born in Berlin, Germany and my mother was born in East Prussia. My grandfather was born in Wolynia (which today is part of the Ukraine / Poland, but in the 1800s was part of Russian Empire). Best wishes and Welcome to Inspy Romance. Alexa, I would also love to read romances with German Americans. A quarter of Americans have German roots, but due to WW1 and WW2 and anti-German sentiment, there are very few romances about Germans. I know Texas has a large German American community. Thank you for the idea, Renate! I’m thinking of putting it on my to-do list. I’d have an important and very personal reason to write about a German American character, too. And you’re right. Texas has a large German American community. Guten morgen, Renate! Ich spreche etwas Deutsch. Danke! I visited Germany twice, and both times it was an awesome experience. I had a month-long internship at a small German newspaper and even thought to apply for an internship at a newspaper in Berlin. :) I traveled to Poland and Ukraine many years ago. Warsaw was so beautiful! You have a very interesting family history! Thank you very much for sharing it. Other cultures, other countries gives me a chance to “travel” to places I’ll never physically get to go to but will in my reading. Thank you for answering my question, Gail Estes Hollingsworth! And that’s the reason I like to read about other cultures, too. Same, Gail! I’ve traveled a small amount, but can experience so many other places and cultures through reading. Jkmarco, thank you for sharing! I’ve never been to Asia but would love to visit some day. I do live in the U.S. and would love to win your book. I have always enjoyed meeting and getting to know people from all races and cultures – I worked at a local college and had this wonderful opportunity there! Thank you, and best of luck in the giveaway! Meeting people from all races and cultures is a wonderful way to learn about other cultures. I’m glad you had that opportunity! Welcome to Inspy! We’re happy to have your words and wisdom. I can see how God will use you in many ways bringing cultural flavor to our group. I personally love hearing and reading about other cultures. I’ve lived in Japan and spent time in Scandinavia. I’ve enjoyed books by other authors in which their characters are from other countries. It’s always fun to live vicariously through them. I personally think we can learn lots from each other. Thank you very much for welcoming me, Marylin Furumasu! I appreciate your kind words. I’ve heard a lot about Japan and Scandinavia, and their cultures sound fascinating. I enjoy different cultures and reading about them. Where we live, in northern Virginia, there are people from all continents and cultures. I grew up hearing my grandmother speak French. My grandchildren, daughter and son in law speak Spanish and English. We are retiring to Kentucky to be near children and grand children,but will miss the diversity of cultures this area offers. God bless your writing! Thank you, Diana! Northern Virginia sounds like a great place to learn about different cultures. Best wishes on moving to Kentucky. It’s very important to live close to the family. God bless you, Diana! Season of Miracles sounds excellent. Reading a little was like having a nibble of good chocolate, but then not getting another bite. I enjoy reading books that take place around the world. Tammy Francis, thank you so much for your kind words about my book! And I have to admit my weakness. I do love chocolate! Welcome. I think settings of any kind can be entertaining and educational as well. I think it’s sad that people want to stick with the same settings and same type of heroes and heroines rather than expanding their horizons. Thank you very much for welcoming me, Merrillee Wren! I appreciate you answering my questions. It’s important to expand horizons. Great post, Alexa! It’s wonderful to see that you’ve joined the blog so more readers can get to know you and your fabulous characters/books, my friend. :) I’m looking forward to your new release. And I LOVE to read books set in other locales. I love to travel, and whether in person or in books, I always learn something new and fascinating about other cultures. Wishing you the best at Inspy. JoAnn, thank you so much for welcoming me, for best wishes, and for your kind words about my books, my dear friend! I love reading your books. Your encouragement is greatly appreciated! Welcome Alexa and thanks for sharing your post. I I’ve reading about different cultures so I would definitely read a book that explore characters of different ethnicity. Thank you for welcoming me and answering my questions, Colleen! I’m happy so many readers enjoy books about different cultures. I would love to read a book set in Hungary. I am of Hungarian descent and am planning a trip there in the summer of 2018 to look up some distant cousins in my grandmother’s home town of Nyirmada. Looking forward to checking out your books. God bless (Isten laden meg) you. Pat Barfay, turning 78 next month. I have been a reader all my life!. God bless you, Patricia Barfay! I love your family history. Years ago, I met several Hungarians while visiting Germany. They were very friendly, and we exchanged letters for some time (they all spoke German). I heard Hungary is a very beautiful country. I hope you’ll have a safe and happy trip! Welcome! I have read books from different cultures and enjoyed them. When reading these, I sometimes Google the country/city and look at pictures of the local scenery. Therefore, I can get a feeling of where the story takes place. This makes the reading very enjoyable. Thank you for welcoming me, Judy! And that’s a great way to have a better experience while reading books about other cultures. Margaret Nelson, you’ve done some amazing travels! I hope to visit Asia one of these years. Thank you for welcoming me! 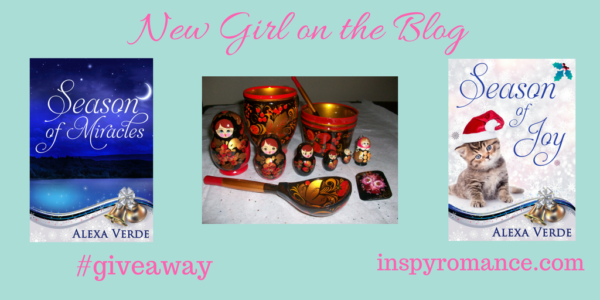 I am your loyal fan and so glad you are on Inspy. I love multi cultural books. Hola, Linda! You’re such a huge blessing. I’m tremendously grateful to have a reader like you! Welcome Alexa! I am an avid reader and enjoy reading Christian fiction ..wherever the location! Glad to hear that, Jackie Smith! And thank you very much for welcoming me! Thank you, Valerie! It’s a blessing and an honor for me to join Inspy Romance. Thank you very much for all your support. I’m very excited to be here! I would like reading about ordinary people in other countries–not really interestedin royalty, knights, etc. So lad to have you here in the group, Alexa! And yes, I would definitely read stories with Eastern European settings! LOL, on my KIndle Fire and mistyped! GLAD to have you here! LOL, Autumn! I’m on my phone and probably mistyped a few words, as well. Thank you very much, Autumn! It’s huge a blessing to join such great contemporary Christian romance authors. I enjoy reading your books! Thanks for the wonderful post, Alexa. I’ve been blessed to have traveled to several different European countries and also Mexico, Canada, Hawaii, and Alaska. I love reading about different cultures and peoples. Thank you for your kind words about my post, Winnie Thomas! You’ve done some fascinating travels. I wonder what country was your favorite? Welcome! I’ve been gone a couple weeks and am glad I picked today to come back! My very favorite setting for a story is Kansas, because that’s where I’m from and what I know, with stories set in the bordering states a close second. However, I love reading stories set all other places too. I totally agree with Gail who mentioned that she gets a chance to “travel” through reading. It’s great to read stories set in the state where you live, and I enjoy “traveling” through reading, too. Thank you for welcoming me, Katy! Welcome to the blog, Alexa! I would love to read your books. Learning about other areas in the world is enjoyable through reading. Thank you very much for your kind words about my books and for welcoming me to the blog, Susanne! I enjoy reading stories set in other countries so I can learn more about the culture and dream of someday visiting that country. I like the idea of learning about a different culture through a book and then visiting that country later. I hope your dreams will come true, Iraines! Thank you for stopping by. No need for you to have been anxious my friend… Look at all these wonderful comments! You are amazingly talented and just an awesome person. I am blessed to know you. You are in my prayers! Thank you so much, Joelle! Your support and encouragement mean a lot to me. Thank you for the prayers, and I’ll pray for you. You’re a wonderful friend. I’m so blessed to know you, too! Welcome, Alexa! I love reading books that take place (in whole or in part) in foreign countries. I would definitely be interested in reading stories that take place in Belarus, Poland, or Russia, especially if they are researched well, which it sounds like yours would be. Best wishes for your books! I’m very happy to hear there’s interest for books set in those countries. Thank you very much for welcoming me, Andrea! Welcome Alexa! I enjoy the opportunity to be an armchair traveler by reading books set in foreign countries. I think it would be interesting to read a book set in Russia or Poland. I’m glad to hear it. I appreciate the welcome, Jessica! Season of Miracles sounds wonderful! I do enjoy reading books in different settings occasionally. I wouldn’t be comfortable with a steady diet of them though. Thank you so much for your kind words about my book, Deborah Wilder! Alexa, it’s great to meet you! Five languages, wow! And all those writings and locales. I love to read stories in other settings as long as I can picture it. Great post! My ancestors came from Meckbach Germany. I would love to learn German and read about that location. Hi Alexa. :) I can’t imagine learning 5 languages! It sounds like writing has always been in your blood, but wow, you sound like many doors would be open with speaking 5 languages. I love reading about any nationality at any place. It’s the story that is important to me, plus different locations, even in a fictitious world have true points of interest for that area. Hi, Alexa! I’m so glad you’ve joined Inspy Romance. I do enjoy reading and learning about different cultures. Hi, Britney! Thank you for answering my question. Happy to see you here! Enjoyed your post. I enjoy reading about other cultures. So glad you enjoyed reading my post, Ann! I appreciate you answering my question. Hello Alexa. I love books with international settings. Hello, JoAnn! Thank you so much! Unfortunately, Trump has given Russia sort of a ” bad name”. However, I have several friends who are missionaries in the area who love it there, so I am very open to learning/reading more about the area. And who better to write about it than someone as knowledgeable as you!